Trick or Treat Studios and Radar Licensing are proud to present the officially licensed The Texas Chainsaw Massacre Remake Leatherface Mask. This amazing mask comes directly out of Scott Stottard's screen used mold, making this mask exact replica of the mask wore by Andrew Bryniarski, who portrayed Leatherface for the 2003 film. 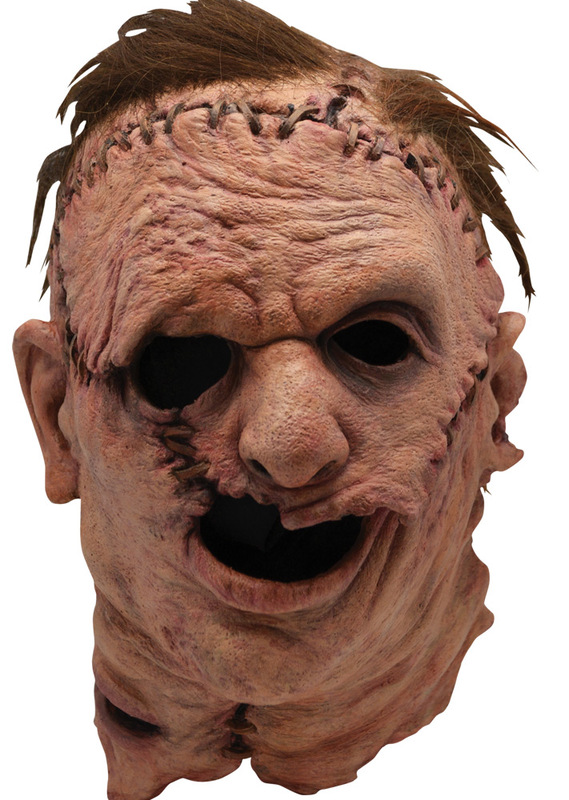 The Texas Chainsaw Massacre Remake Leatherface Mask a full head mask with all the scars and stitches that made these remake mask so original, yet true to the original Leatherface Mask. Don't miss your chance to have a piece of Texas Chainsaw Massacre history, right out of the screen used mold! The Texas Chainsaw Massacre Ð’Â© 1974 Vortex, Inc./Kim Henkel/Tobe Hooper All rights reserved. Leatherface and The Texas Chain Saw Massacre are trademarks of Vortex, Inc./Kim Henkel/Tobe Hooper., All rights reserved.